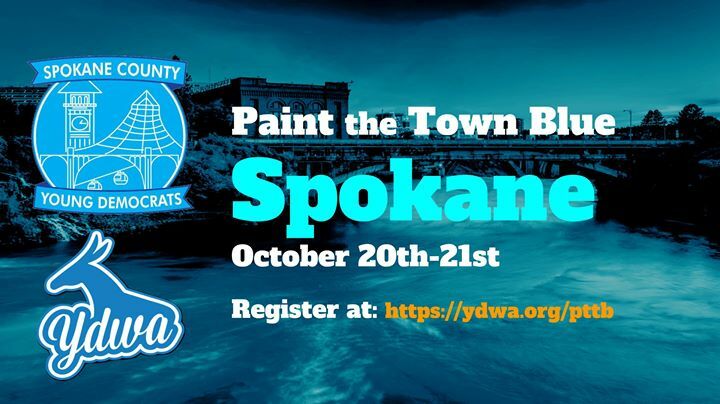 Join the Young Democrats of Spokane County and YDWA on October 20-21 for the latest #PaintTheTownBlue! Come enjoy canvassing, phone banking, elected officials, priority candidates, and much more! It’s a free, incredibly rewarding weekend of action! Register today!